The food in Madrid is plentiful, you’ll find the restaurants are endless. 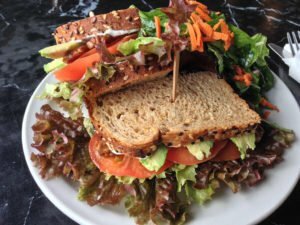 If you’re vegan, don’t worry, despite this being a city that loves its ham, there are still many restaurants for you to enjoy here. 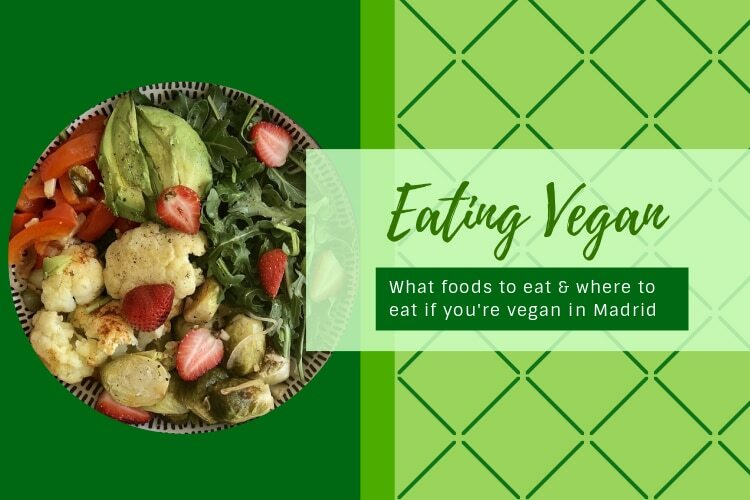 These are our top recommendations of where (and what) to eat if you’re a vegan traveler in Madrid (if you’re vegetarian and you’ve stumbled across this article, click here for our vegetarian food guide!). 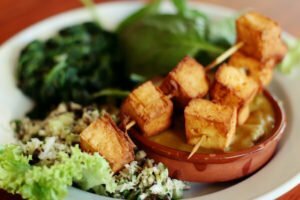 This article also shows how to put a vegan spin (while at any restaurant) on some traditional Spanish dishes, so you can enjoy all Spain has to offer, as well as where to find restaurants that are completely vegan. Keep reading to discover more about eating vegan in Madrid! 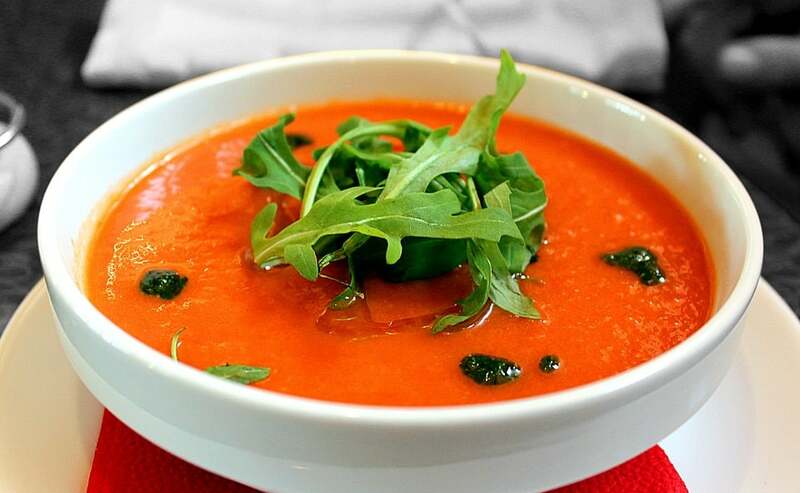 While in Madrid, you definitely will want to enjoy gazpacho, a tomato soup that is served cold. Many times, ham or egg will be added onto the top of the soup, as these are both a very traditional part of Spanish meals. Simply request this soup without ham or egg and your waiter will be happy to oblige. Gazpacho’s soup rival is a soup called salmorejo. This soup is also be vegan (as long as you skip the hard boiled eggs), with main ingredients of tomatoes and peppers. Click here for the recipe for both these rival soups. Paella is one of Spain’s most popular dishes. You’ll find paella at many different restaurants in Madrid. 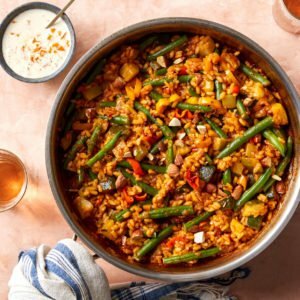 Unfortunately if you’re vegan, paella is often served with chicken and seafood. When ordering paella at a restaurant be sure to ask for “paella de verduras” or “paella sin pollo y sin mariscos,” to ensure that chicken and seafood will not be added to your dish. Everyone should be able to enjoy what is (arguably) Spain’s most popular traditional dish. If you want to try making paella yourself, join us at one of our cooking classes! 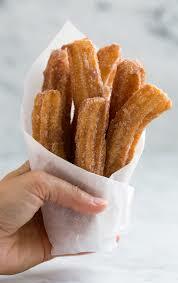 You’ll find churros across the globe, but no where will you find them as delicious as they are in Spain. Oftentimes, churros come with chocolate, but feel free to skip the chocolate and just enjoy the fried sugary churros for all they’re worth! If you’re vegan, then no changes need to be made to your order of churros as they’re simply made of fried dough and sugar. One of the best places to find churros in Madrid is Chocolatería San Ginés, a churro restaurant that is open 24/7. After a night out in Madrid, nothing tops the night off better than churros! 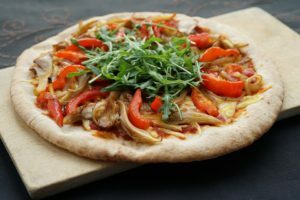 The main ingredient in pimientos asados is peppers, making this the perfect dish for someone who is vegan! The Spanish often have different appetizers before meals; you’ll find pimientos asados to often be one of these options. 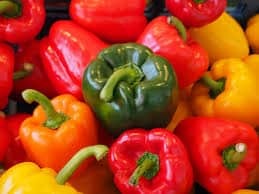 As a vegan, you’ll find this traditional Spanish dish of roasted bell peppers to be quite enjoyable. Click here for an easy to follow recipe to make your own pimientos asados! 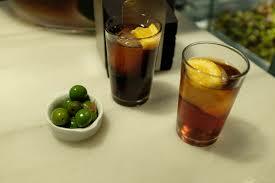 If you want to be like a local, then check out the vermut de grifo at one of the bars here in Madrid. This is a classic Spanish wine, to which spices and aromatics are added. This drink is typically served with a side of olives and almonds, making it completely vegan. No changes need to be made to enjoy this traditional Spanish drink. Walk through the streets of Madrid and look for signs that say “hay vermut de grifo.” If you see that, it indicates that there’s vermut on tap! Make sure to ask for the olives and almonds to enjoy this drink in the most traditional way. 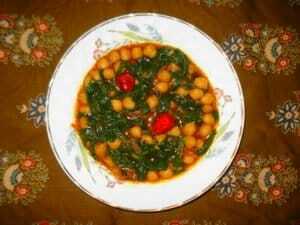 If you’re planning on travelling out of Madrid to the nearby city of Sevilla, try the espinacas con garbanzos (spinach with chickpeas) while you’re there. This dish is a specialty of Sevilla. You may be able to find it in Madrid as well, but it will be the most authentic in Sevilla. 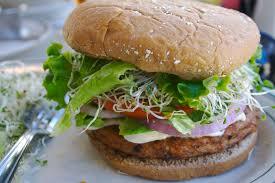 Ensure that there is not meat in the dish by ordering it, “sin carne,” (without meat). Citylife Madrid takes three trips to Sevilla per semester. 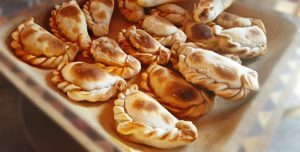 If you’re interested in traveling with us and doing much more than just trying this traditional dish, click here! Croquetas have to be my absolute favorite Spanish tapa to enjoy. Here in Madrid, you’ll find that this dish is often cooked with ham (jamon) on the inside, a favorite of the locals here. However, there are plenty of places where you can still enjoy croquetas if you’re a vegan. For example, check your menu for croquetas de seta (mushroom) or croquetas de espicacs y pinoes (spinach and pine nuts). 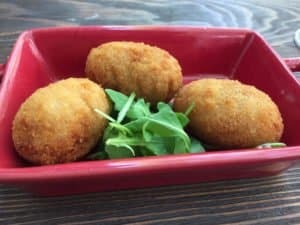 You can also find croquetas that are made with vegetables and contain no ham. Stay on the lookout for these, I highly recommend them. Another soup, this one originating in Andalusia is also great to try on a hot day. Severed cold, its main ingredient is almonds and garlic. Sometimes, fruits will be added to the top of the soup for flavor. 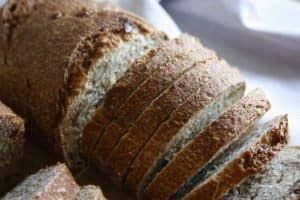 Bread is also blended into this soup, to create the creamy texture, without adding dairy products. 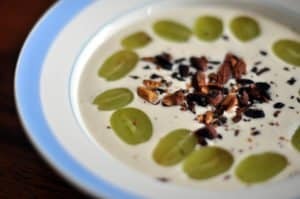 To make ajo blanco yourself, check out this easy vegan recipe here. Hopefully this vegan food guide to Madrid was helpful for you! Enjoy exploring all the different food options that Madrid has to offer.